The third run of Big Finish’s The Fourth Doctor Adventures once more reunites Tom Baker’s Fourth Doctor and Louise Jameson’s Leela, at least temporarily taking a step away from the series’s penchant for nostalgia and opening with a bombastic and very serious tale featuring the oft-mocked Sontarans. As the Third Elite Sontaran Assassination Squad as well as the Doctor and Leela- the latter due to the manipulation of the Time Lords- approach Dowcra Base, the invincible Strang reveals the true might of the Sontaran threat. Without a doubt, the character of Strang is instantly intriguing, raising questions of just what he could have done as a Sontaran to merit such life-threatening animosity of others of his race. Fortunately, the explanation is just as fascinating as he is revealed to be the result of a sort of ghost in the machine, an error in the Sontaran cloning process that condensed an entire platoon into one being and thus created a super-being that is stronger, faster, and smarter than any single individual should be. Equipped with the ability to clone himself as well as to transport matter to any point in the universe, he represents one of the most terrifying threats the Doctor has ever encountered and threatens to shift the entire cosmic balance of power into his hands alone. 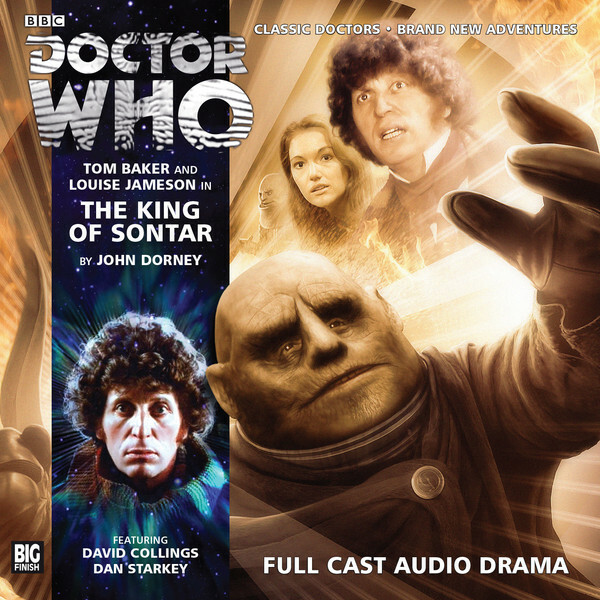 ‘The King of Sontar’ also gives the leads incredibly good material to work with, and Tom Baker excels as he is once more tasked with going from a more facetious tone as he attempts to stereotype human and Sontaran alike while relying on assumed weaknesses to a fatally serious tone as he begins to comprehend Strang’s power and apparent willingness to sacrifice even Sontar itself to achieve his goals. Even more valuable here is the approach taken with Leela who, after getting on very well with the Doctor in the entire first series and seemingly best friends with the Doctor in the early stages of this tale, reaches a moral standstill with the Doctor as their differences in philosophy come to the forefront. Whereas the Doctor wants to try to rehabilitate Strang’s clones, Leela has no qualms in killing them to prevent them from spreading evil across the universe. There is an incredible amount of tension between the two, and hopefully this thread will be expanded upon in future stories since Leela clearly has immense respect for the Doctor even as he steadfastly admonishes her propensity for killing and sets the coordinates for her home planet to send her on her way. ‘The King of Sontaran’ is incredibly confident in its scripting and production, and there’s a surprising amount of innovation beneath the many familiar strokes to keep it massively entertaining and moving from beginning to end. Even before the threat of a sudden gulf between the Doctor and Leela manifests, the prospect of Sontarans fighting Sontarans for more power than ever thought imaginable is incredibly engaging, and writer John Dorney wisely avoids delving too far into nostalgic territory to offer a blistering adventure that bravely sets a high benchmark and darker tone for the remaining stories of this run to hopefully continue.